The word Glitch derives from the German word ‘glitschen’, meaning ‘to slip’. This term that basically describes a sudden malfunction of equipment. In a computer program, a glitch is a bug that isn’t encountered very often and results in a problem. On the other hand, in computer audio, a glitch is a quick temporary noise in a file that sounds like a snap. Musicians and music producers, in general, we’re always trying to find new and exciting ways to radically change and bend the sounds in a creative and interesting manner. For instance, the 80`s music producers were using DAT tapes to create splintered vocal effects. Sometime later, time-stretching capabilities of hardware samplers got introduced. They were used by early Drum`n`Bass producers to create effects like melodic drum beats and crazy stretched vocal effects which were unheard of until this point in time. 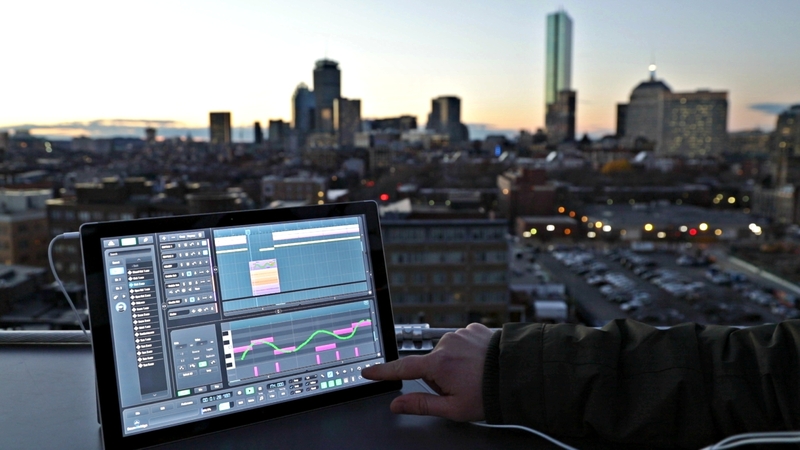 In the past decade or so, various different VST effects emerged solely for this purpose. They are usually containing multiple effects that when used together in a box, deliver awesome results. 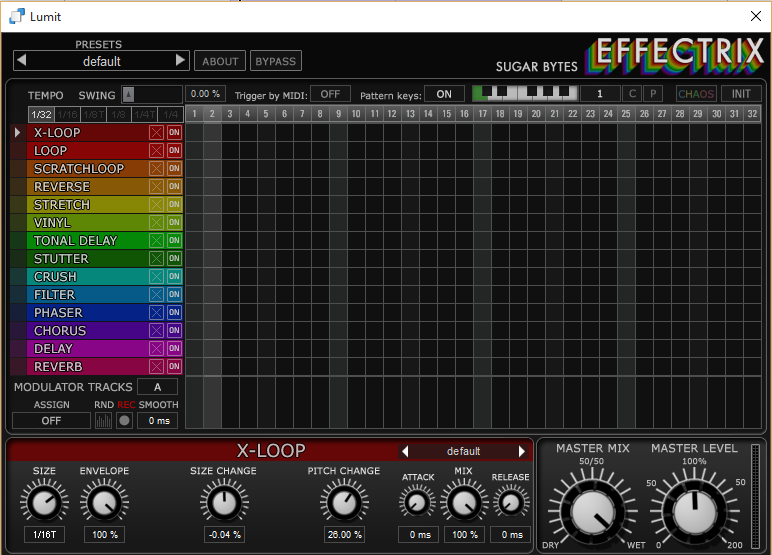 In the following tutorial, I will pay close attention to one of these VST effects called Effectrix by Sugar Bytes. 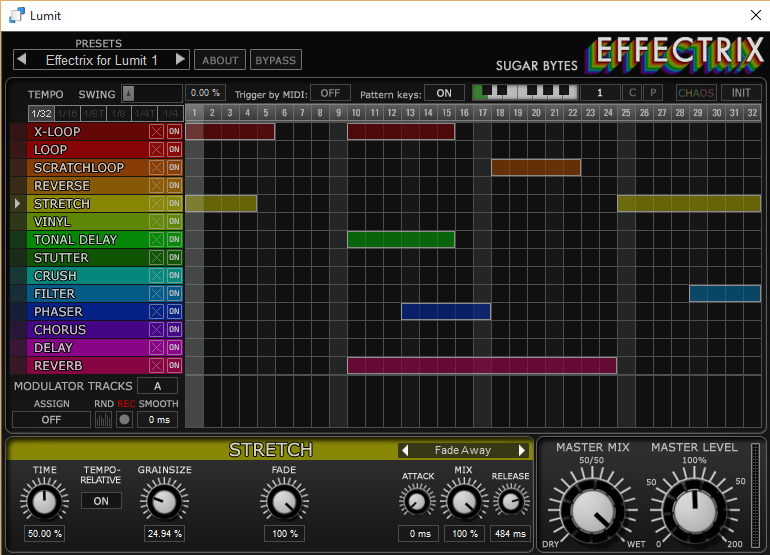 Then, let`s start adding effects offered in Effectrix one by one. First one will be X-Loop. It is an advanced loop control tool that changes loop size and pitch over time. It also includes an envelope for shortening the loop. In addition, right below the previous effect, we can find the Scratch Loop. It plays the loop forward and backward like scratching a vinyl record. For this reason, I will use it just a little bit in the second part of the drum beat. You can use different speed settings for the forward and backward spin, as well as individual slopes for the spinning change between fwd and bwd. I have to point out that this a very complex effect where all parameters interact with each other, opening new worlds of scratching your audio signals. Following that, it might be interesting to add a bit of Tonal Delay. It can make your drums play melodies, re-pitch harmonic signals and create stunning mutations out of anything that makes a sound. Furthermore, I will add a filter at the end of the sequence. It will just end the sequence in the fast down sweep using the cutoff parameter. Finally, I will add a bit of reverb that will be placed where X-Loop and Tonal delay are starting. So let us hear the end results with the effects combined and after that, the full mix with the additional kick drum, snare drum and bass.